I hope you are having a fantastic Friday! 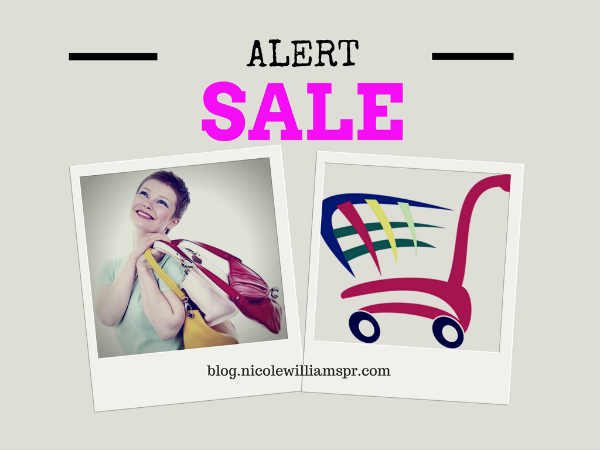 It seems many of you loved the past sale alert and would like to see more. Let's face it, who does not love a great sale? So though you will not be seeing an influx of sale alert on the blog, we will from time to time bring you the most epic and lust-worthy sale round-ups. With that said, here are the sweet sales from around the web. Disclosure: This blog will receive compensation on purchases made from the site. Save up to 60% off with over at Saks Fifth Avenue when you shop clothes, shoes, and jewelry. Use code FREESHIP to get free shipping everyday on every order. Shop now! Head on over to the LOFT for 40% off everything. Save with code SHAREIT, now through April 19. You may also want to check out River Island and Topshop's up to 50% off sale on a huge selection of styles, as well as yoox.com up to 30% off sale. While you are at it, be sure to check out Brooke Shield's go-to labels and favorite spring looks fresh off the runway over at mytheresa.com. And for all the maxi lovers, check out MatchesFashion.com for maxi dresses for every mood. Lats but not least, refocus your style with the latest from the editor's picks. Until next week, have a fantastic weekend!